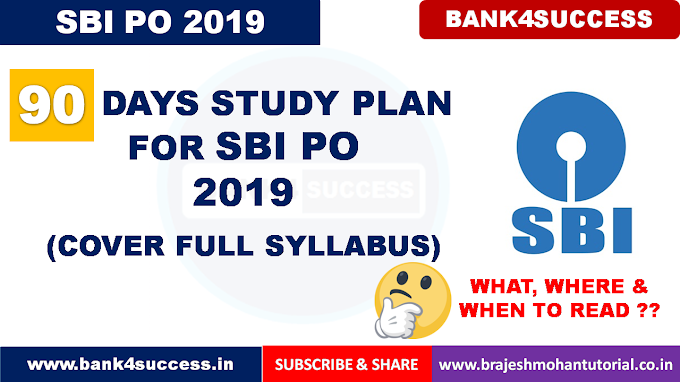 RBI Grade B 2019 Notification - Syllabus, Books and Selection Process. 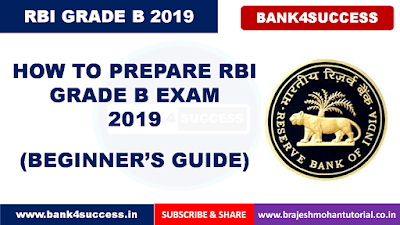 RBI Grade B 2019 Exam Date. Welcome to the RBI Grade B Officer 2019 Preparation Section of Brajesh Mohan Tutorial.The Reserve Bank of India is Expected to Come with RBI Grade B Officer Exam Notification 2019 soon for all the Eligible banking aspirant.The online application for the same will begin after the release of official notification of RBI Grade B 2019. The total Number of Vacancies for RBI Grade B Officers will be 160+ for Various Posts. 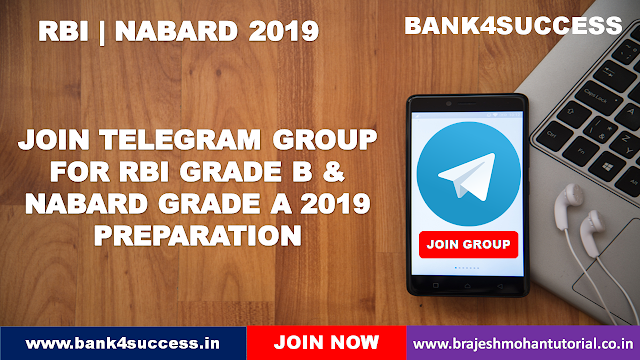 A minimum of 60% marks (50% in case of SC/ST/PwBD) or an equivalent grade in Bachelor's degree as well as in 12th (or Diploma or equivalent) and 10th Standard examinations.Check Detailed Eligibility below. Interview (50 Marks) : Candidates will be shortlisted for the interview, based on aggregate of marks obtained in Phase-II (Paper-I +Paper-II +Paper-III). The minimum aggregate cut off marks for being shortlisted for Interview will be decided by the Board in relation to the number of vacancies. Roll No. of the candidates shortlisted for interview will be published on RBI website at appropriate time and interview call letters will be sent on registered email ID. Interview will be of 50 marks. Candidate may opt for interview either in Hindi or English. Final Selection will be through merit list which will be prepared by adding marks secured by candidates in Phase-II examination and interview. Age Limits: (a) A candidate must have attained the age of 21 years and must not have attained the age of 30 years on the 1st of July, 2018 i.e., he/she must have been born not earlier than 2nd July, 1988 and not later than 1st July, 1997. For candidates possessing M.Phil. and Ph.D. qualification, upper age limit will be 32 and 34 years respectively. Number of Attempts: Candidates belonging to unreserved i.e. General Category, who have already appeared Six times for Phase-I Examination for this post in the past, are not eligible to apply. No such restriction applies to candidates belonging to SC/ST/OBC/PwBD, if the posts are reserved for them. a. 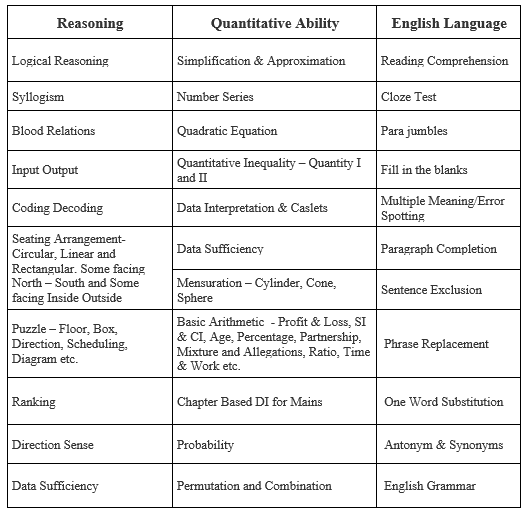 A Master's Degree in Economics / Econometrics / Quantitative Economics / Mathematical Economics / Integrated Economics Course/ Finance, with a minimum of 55% marks or an equivalent grade in aggregate of all semesters /years from a recognized Indian or Foreign University /Institute. Candidates having Master's Degree with Research/Teaching experience at a recognized Indian/Foreign University/ Institute will be eligible for relaxation in upper age limit to the extent of number of years of such experience subject to a maximum of three years. For experience, probationary period will not be reckoned. Candidates with a Doctorate in topics related to above subjects will be given preference. Candidates possessing M.Phil. and Ph.D. qualification in the specified subjects will be eligible for relaxation in upper age limit by 2 years and 4 years respectively. Candidates with research / teaching experience at a recognized Indian / Foreign University/Institute will be eligible for relaxation in upper age limit to the extent of number of years of such experience subject to a maximum of three years. For experience, probationary period will not be reckoned. Dynamic: Questions based on current affairs related to Economic & Social issues. I would suggest Practice writing One Hour Daily, Till the time you don’t try your hands in writing you will never feel confidence. Writing is all about your creativity and it will come only with practice.